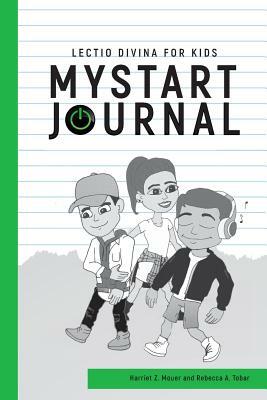 The MYSTART JOURNAL is a 52-week devotional journey that encourages kids to slow down and hear God through His Word. The Journal is a creative experience focusing on the values of identity, character, trust and adventure. Kids are using the MYSTART JOURNAL in their homes, classroom, churches, and small groups. Mystart Journal: Discipleship for Kids by Mouer, Harriet Z. was published by Mystart Journal in December 2017 and is our 64682nd best seller. The ISBN for Mystart Journal: Discipleship for Kids is 9781948186582. Be the first to review Mystart Journal: Discipleship for Kids! Got a question? No problem! Just click here to ask us about Mystart Journal: Discipleship for Kids. Author / Artist Mouer, Harriet Z.